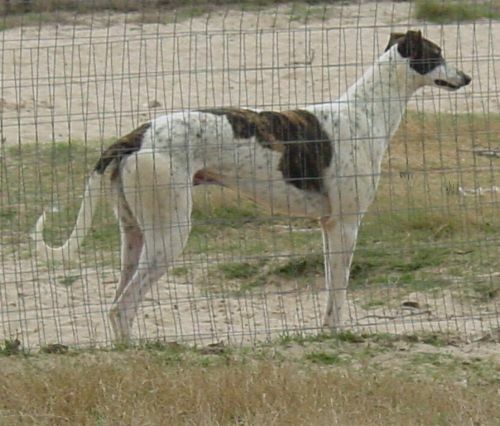 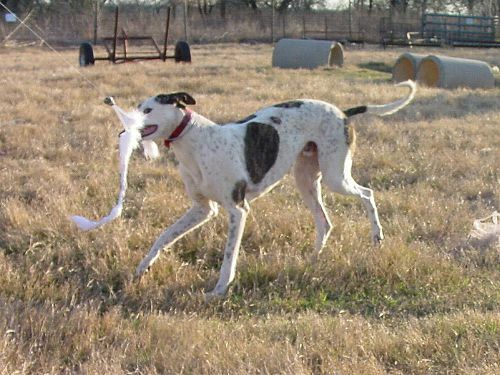 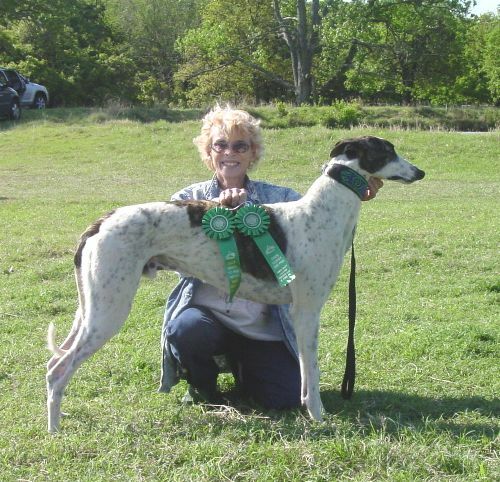 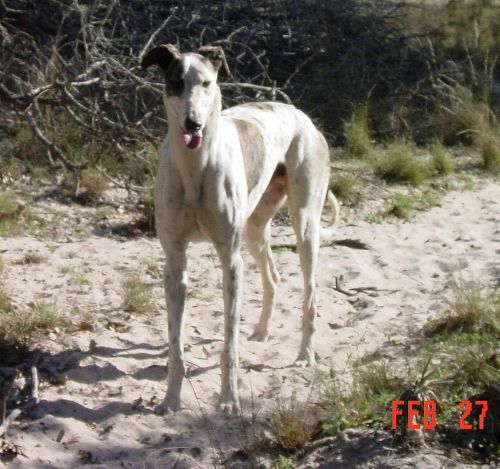 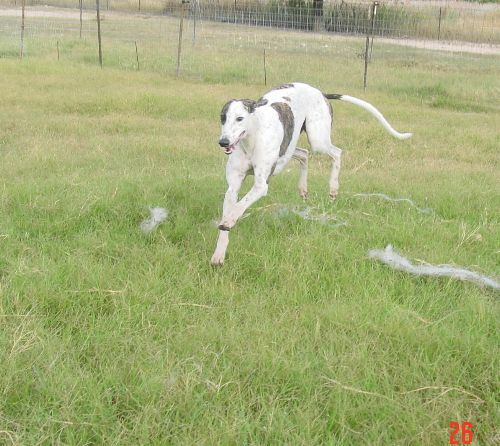 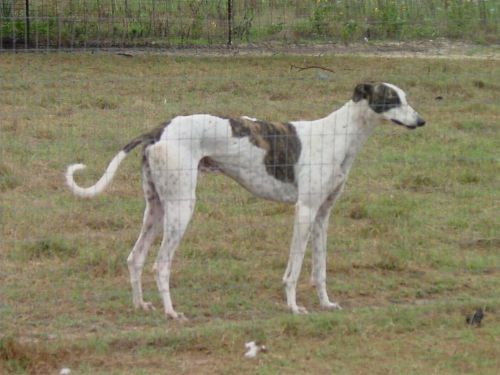 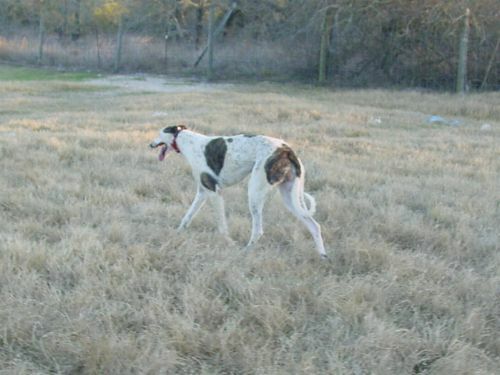 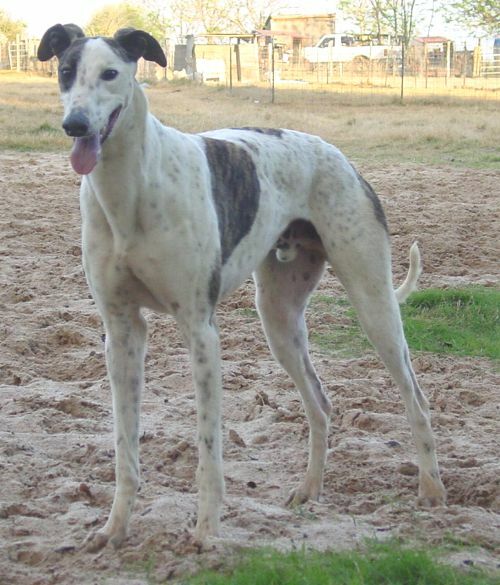 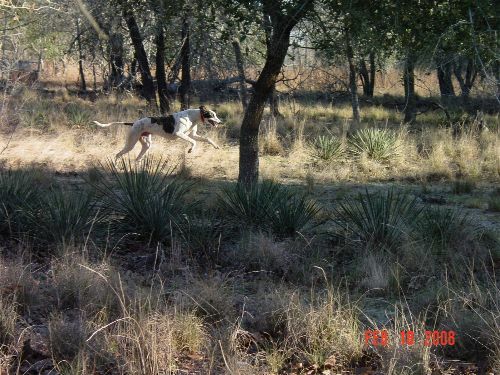 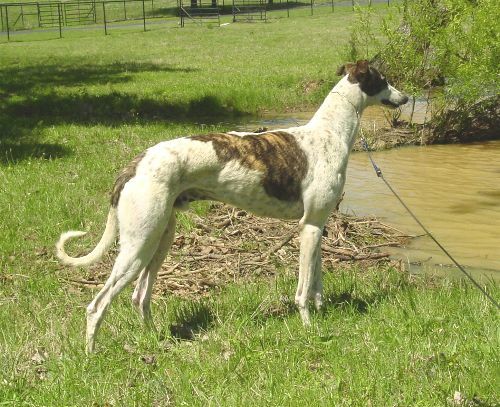 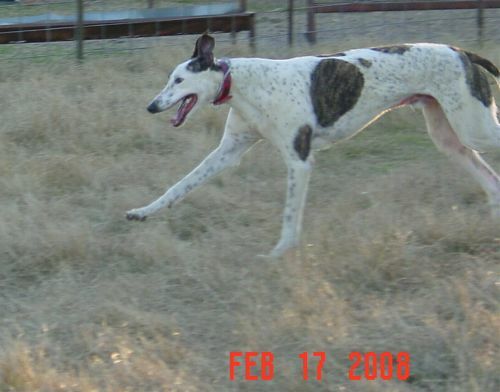 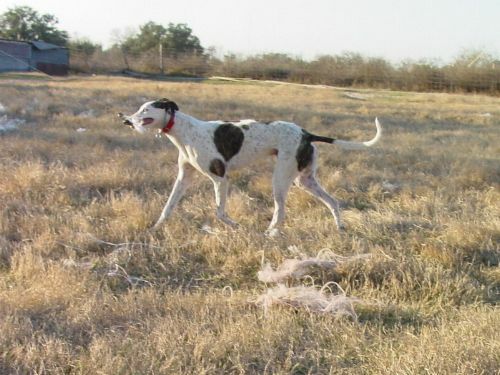 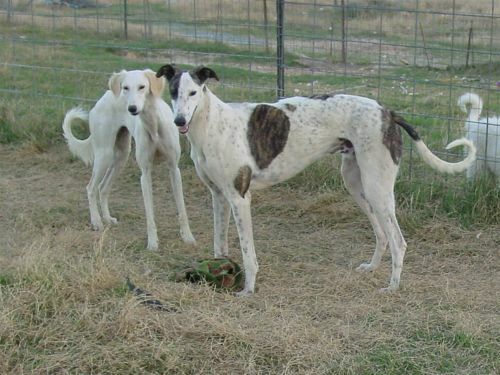 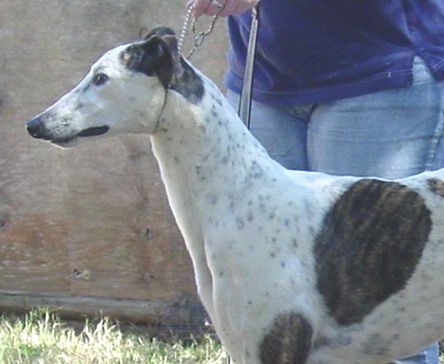 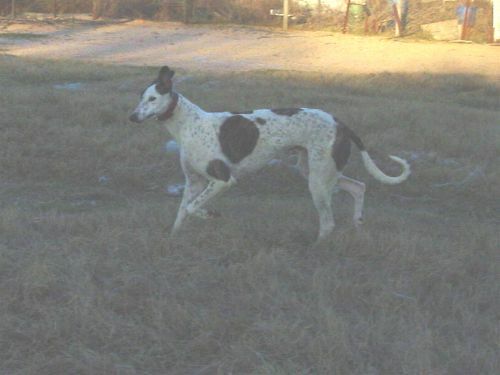 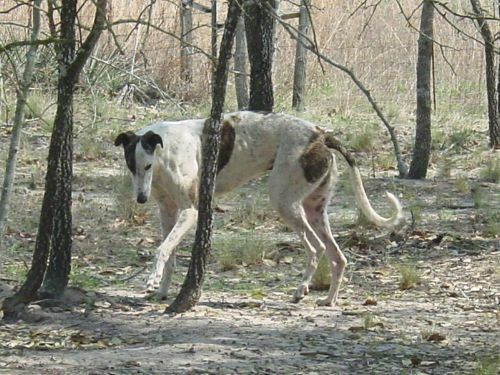 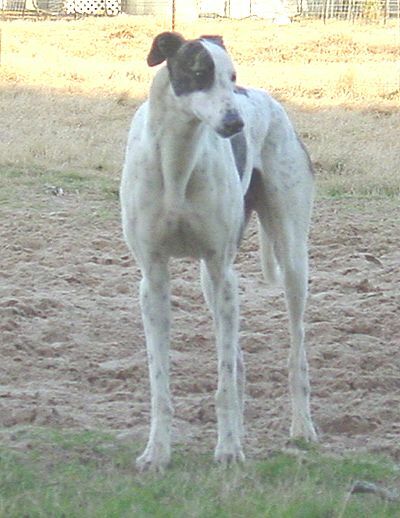 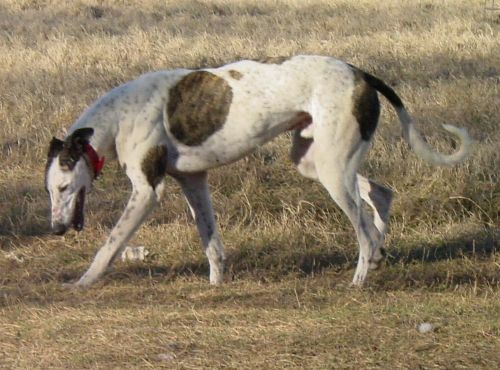 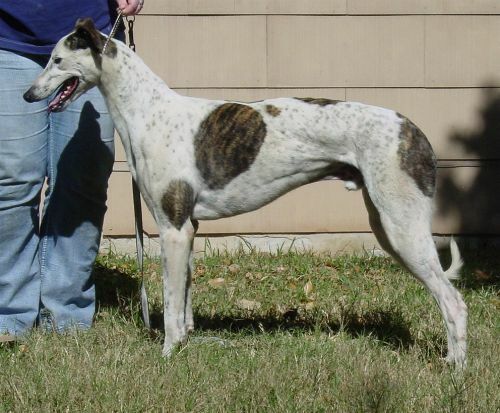 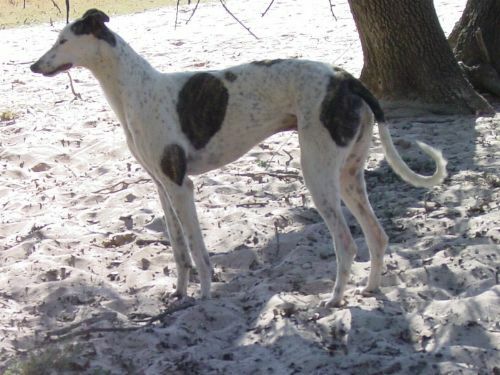 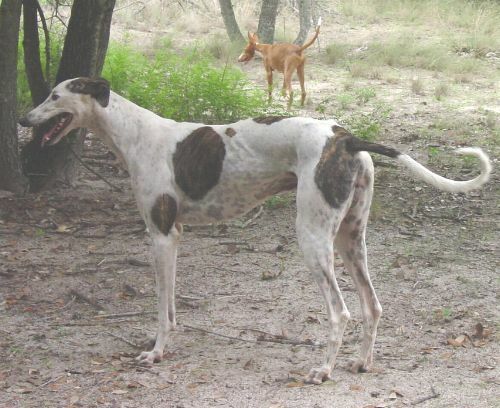 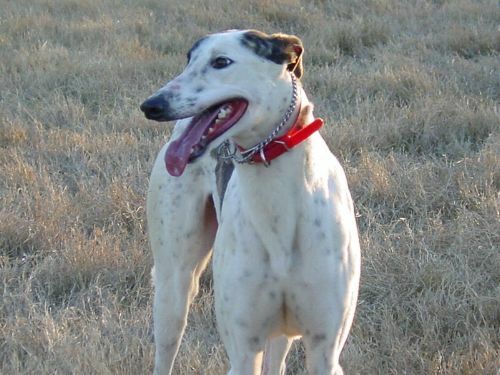 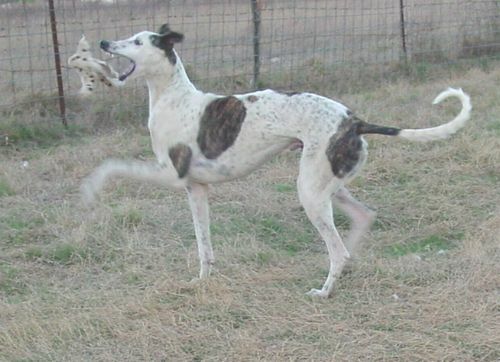 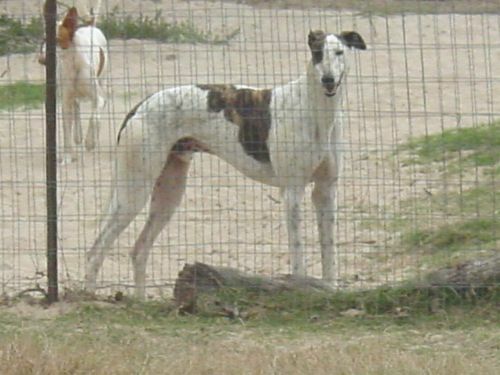 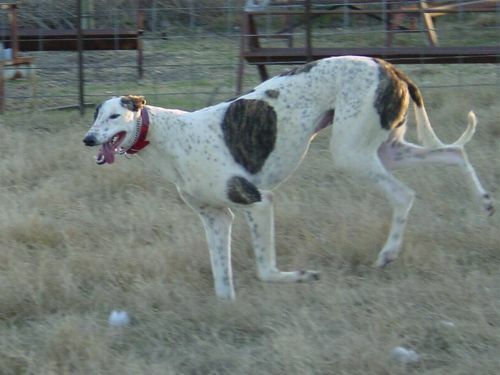 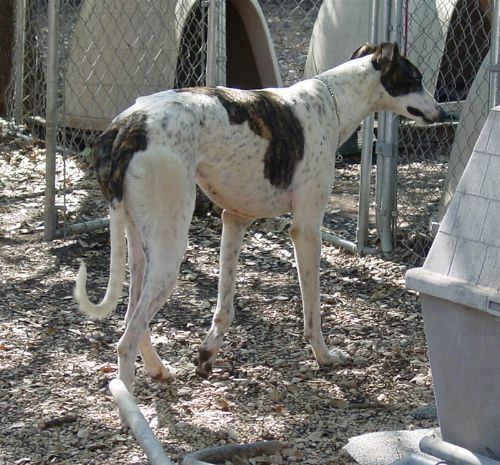 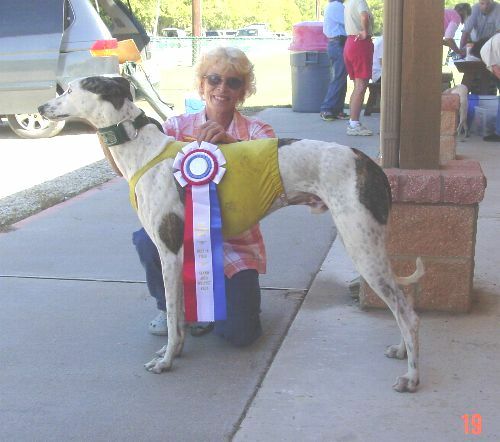 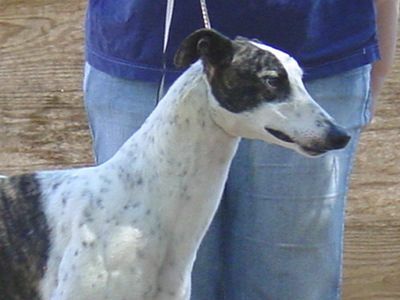 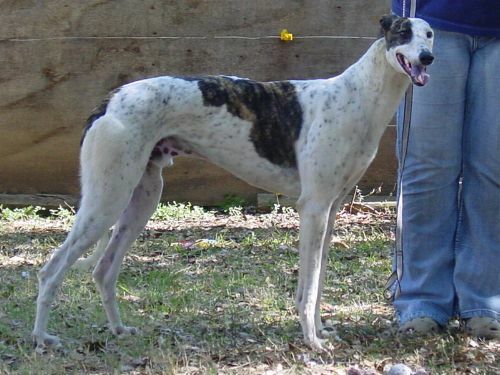 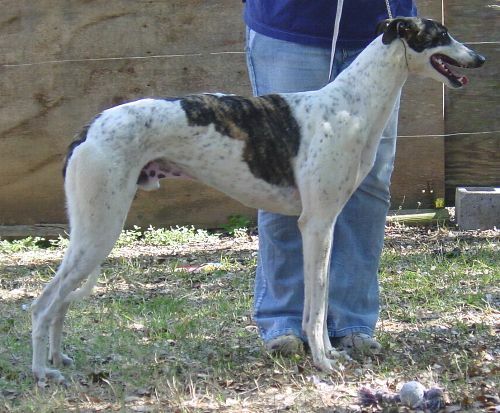 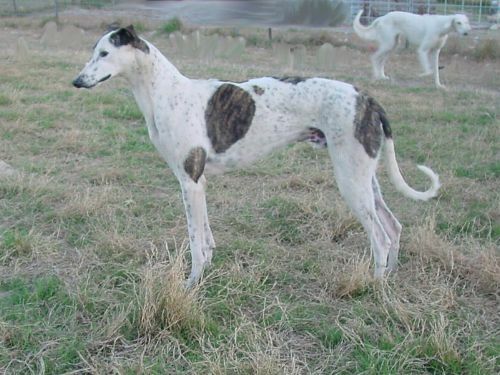 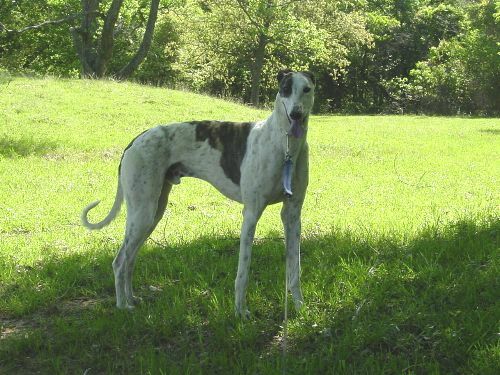 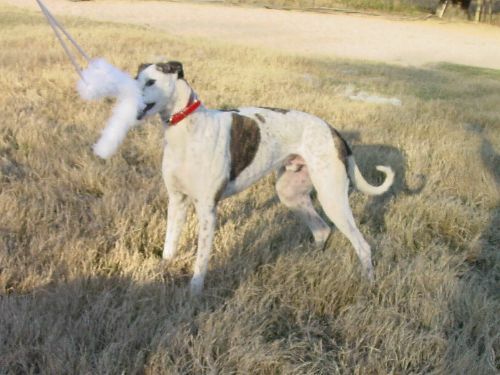 This handsome young Greyhound, born December 14, 2006, came to Shefaro on February 17, 2008. 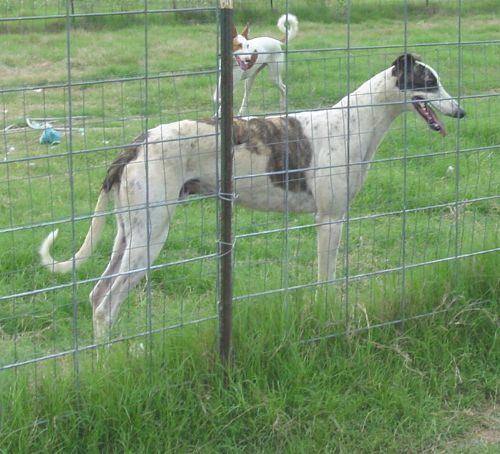 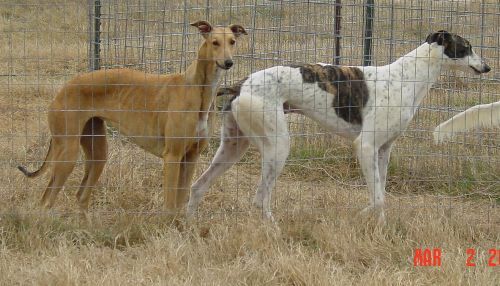 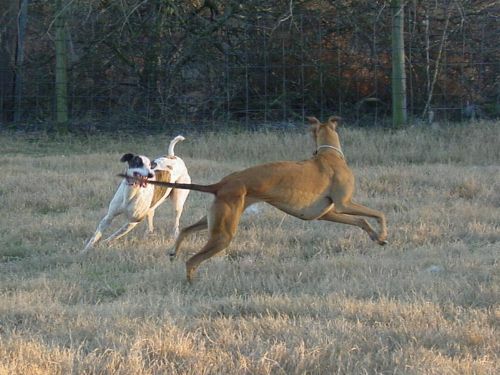 What a thrill it was to visit a real racing Greyhound farm where these wonderful dogs live and sprint in fields with FOUR FOOT chain link fencing! 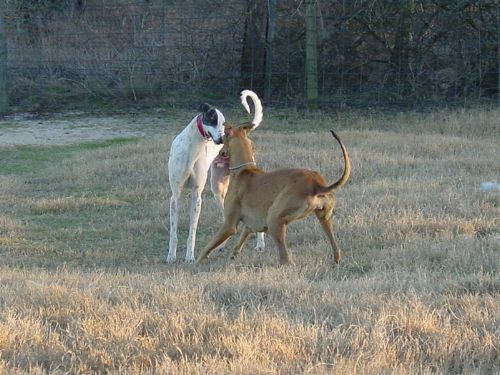 Lola thinks her new friend is something special. 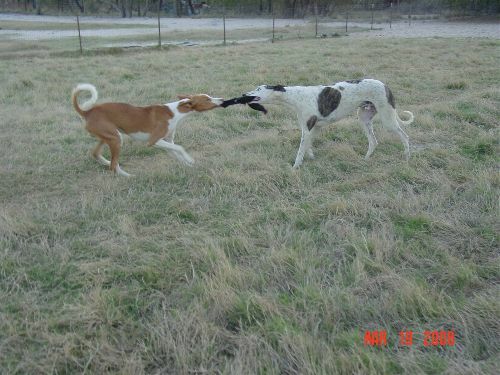 This is a joy to watch. 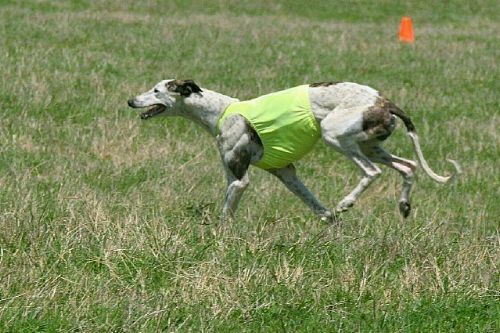 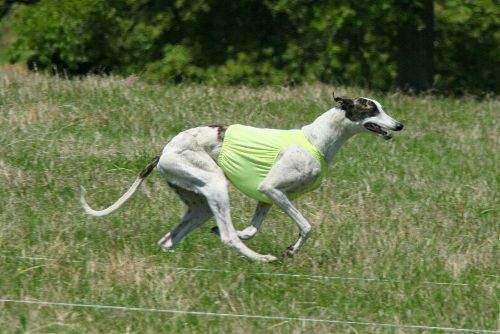 Breaking into a gallop, Einstein has a great zest for life. 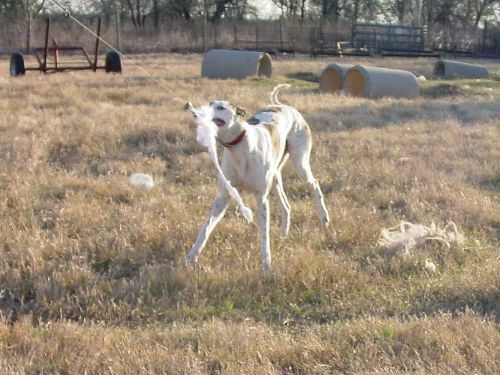 I threw a ball and he went after it. 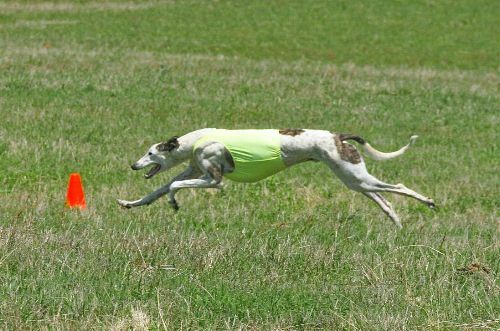 Forget the ball throwing. 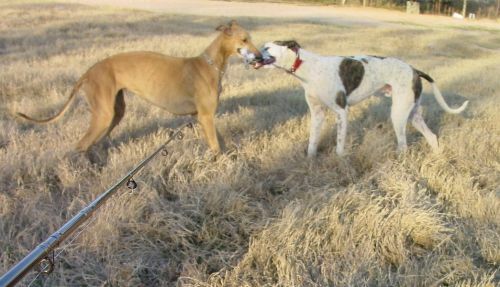 It was time to get out the fishing pole! 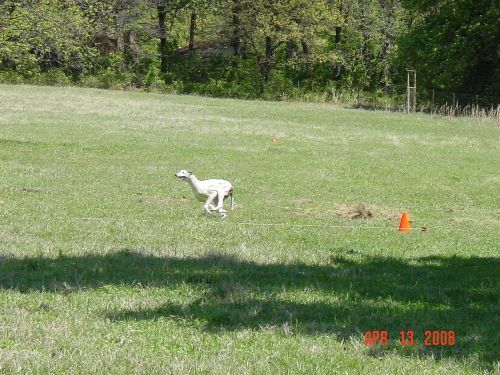 I couldn't reel fast enough. 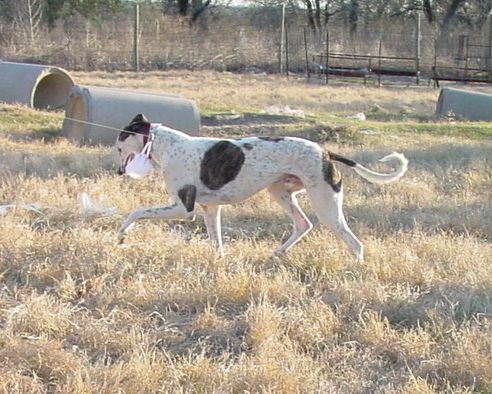 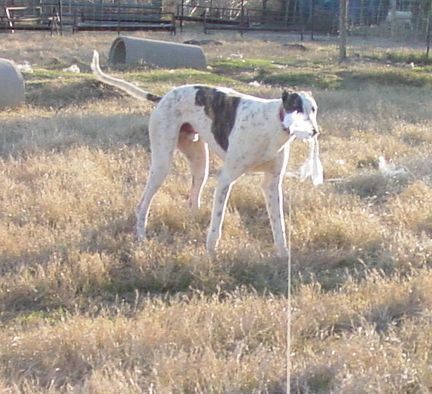 Einstein caught the lure and was proudly trotting around with it. 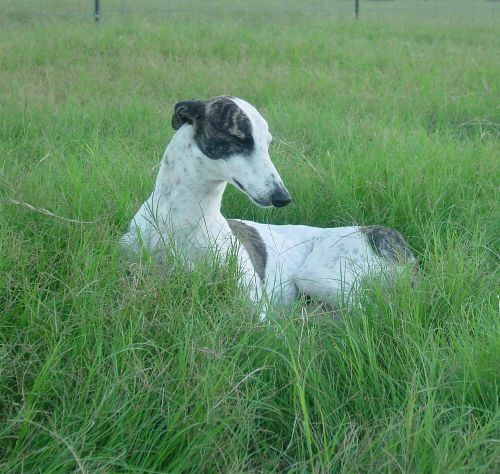 He is as sweet as he is handsome. 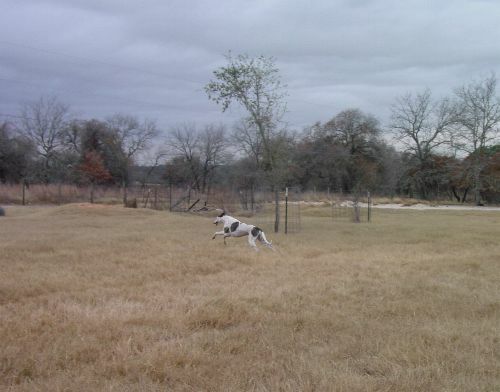 He is sound coming and going. 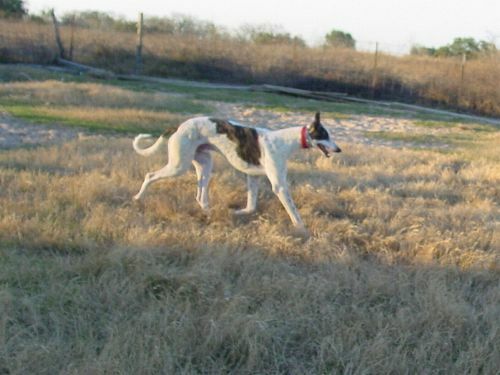 March 13, 2008 went to Stephanie's and played show dog. 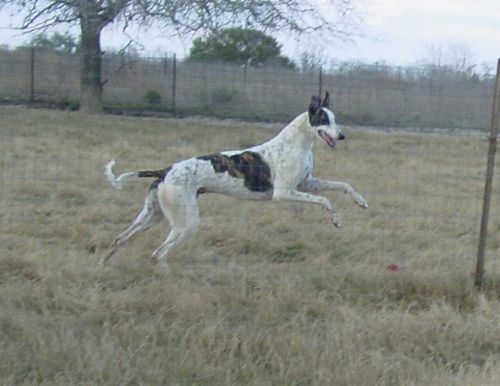 He is a natural. 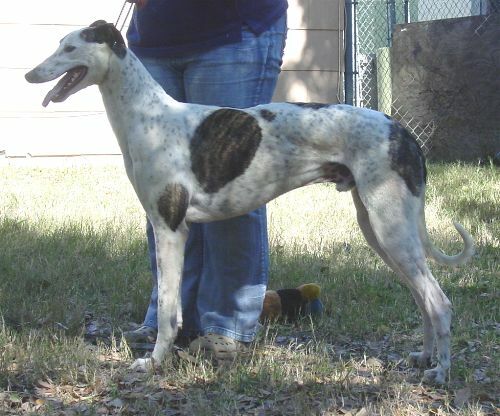 It got a little warm, so we quit, but look at this boy's conformation! 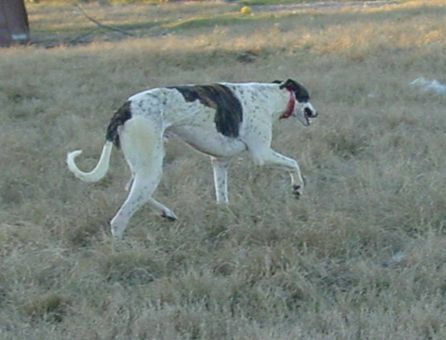 Checking things out. 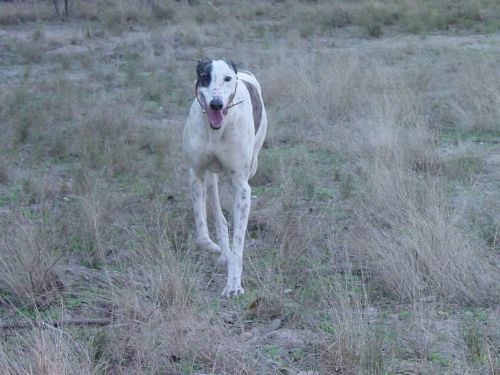 Einstein is a very happy and adaptable boy. 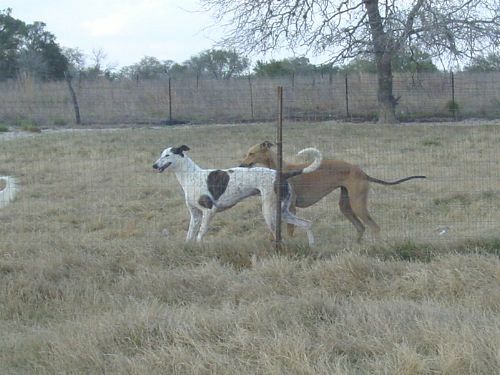 He got his JC and onto his SC. 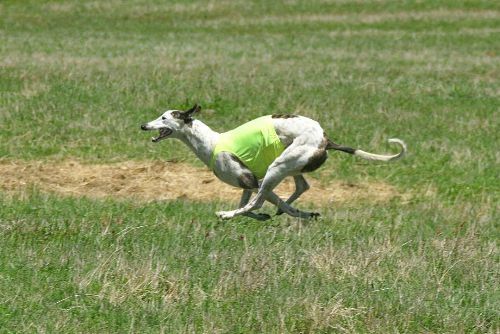 Running for his Senior Courser. 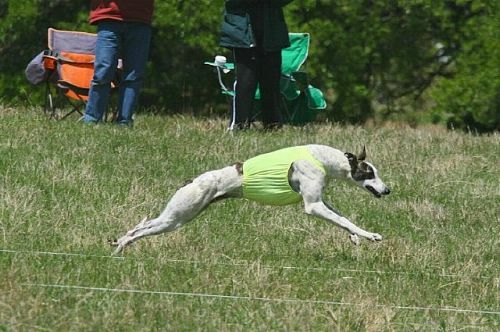 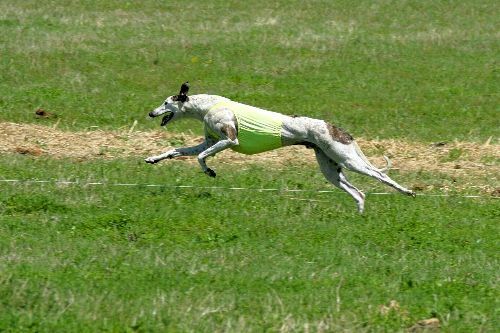 Lure coursing with Einstein. 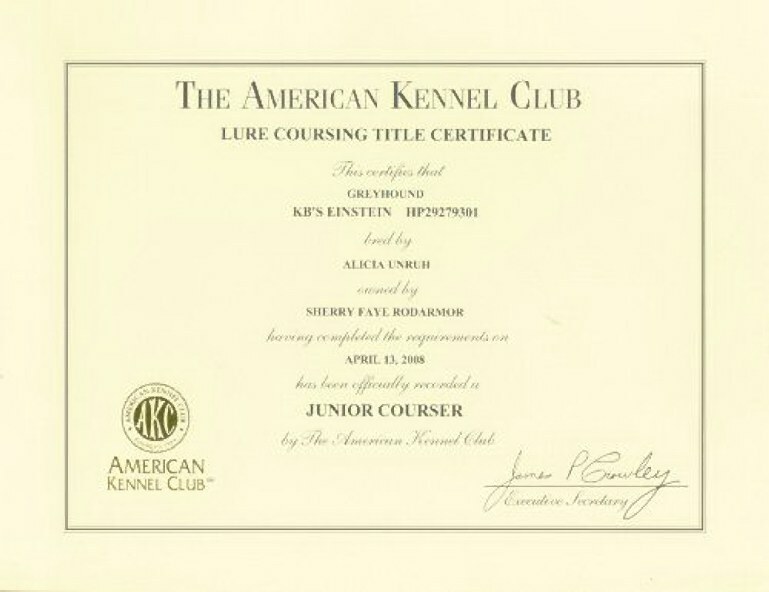 Best in Field his fifth lure course ever. 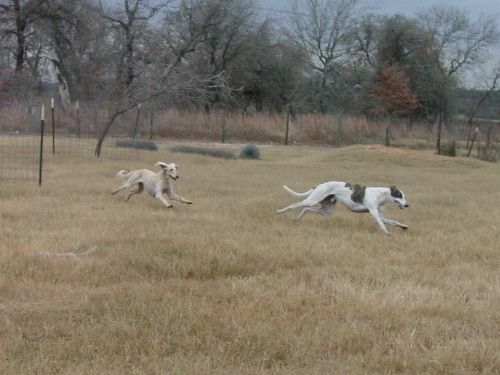 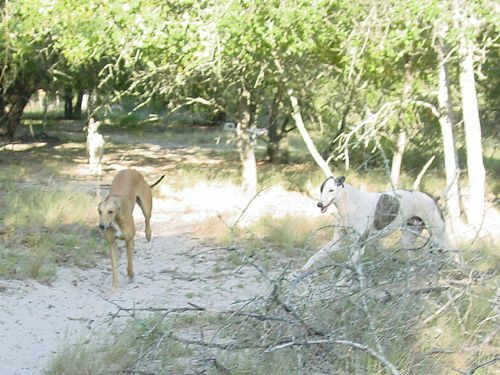 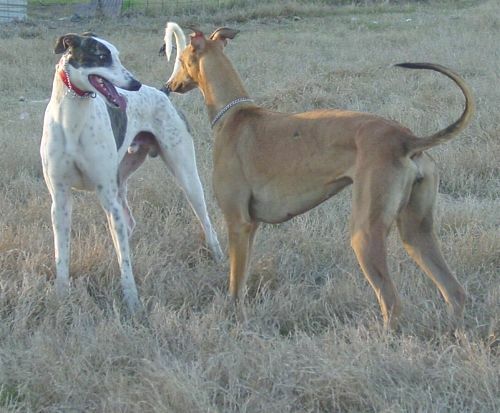 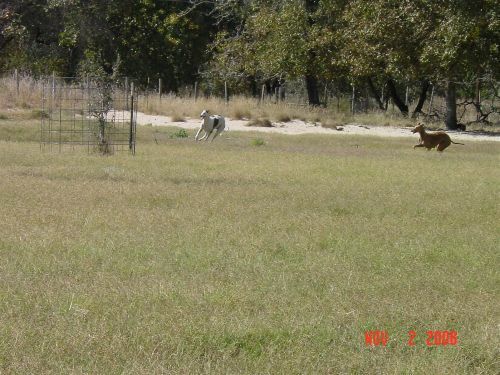 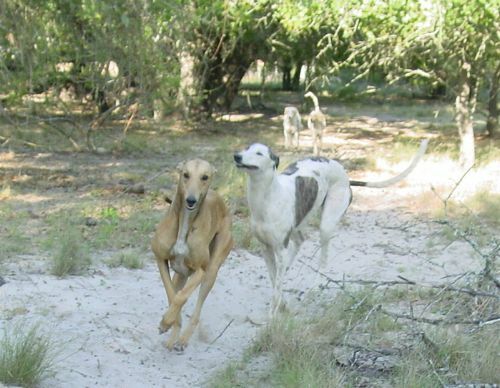 Greyhound Joy of Life - Einstein and Lola in Shefaro pasture.